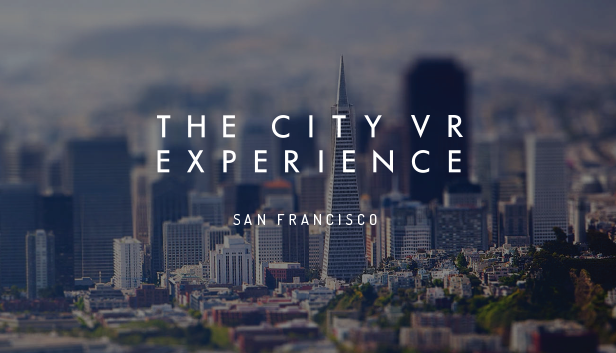 The City VR Experience allows you to discover new perspectives to look upon cities like never have before. Touch and feel the skyscrapers. Teleport to go places. Take snapshots of favorite views and moments. Enjoy sunset from the top of the world. 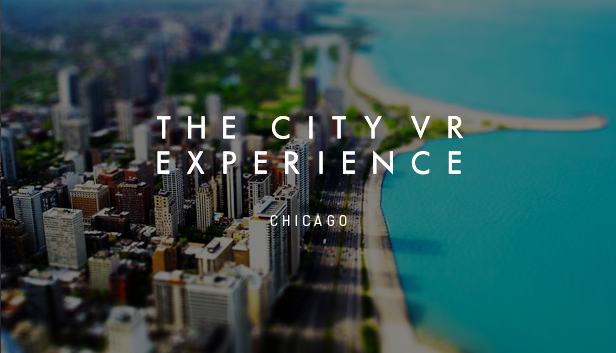 The City VR Experience is an immersive virtual reality experience that allows you to discover new perspectives to look upon the world we live in like never have before. 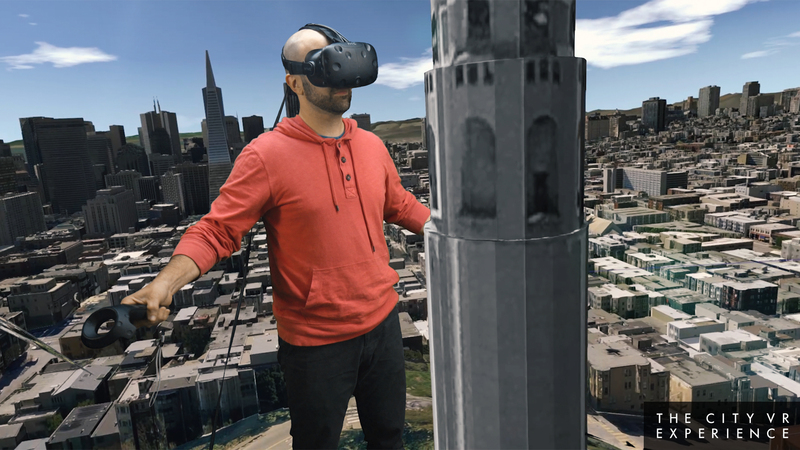 Every street and address matches its real-world equivalent - but City VR is more than just a 3D map. 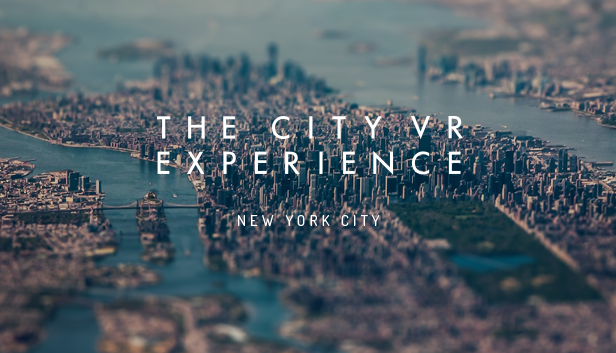 It enables you to travel through the streets like a giant, observe architecture from up on high, zoom in to the ground or zoom out to the air, change lighting and weather, and take snapshots of the most unique city views discovered on your own. When and how can I get City VR? City VR will be released on Steam on September 26th, 2016. 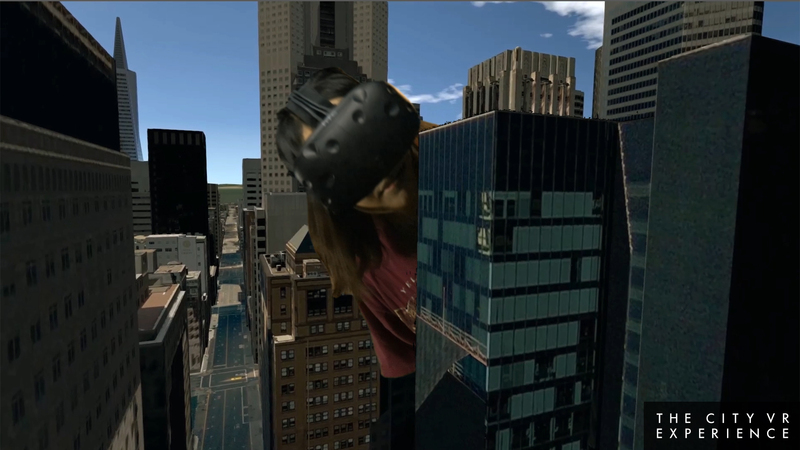 City VR is currently available on HTC Vive, and additional HMDs are coming soon. 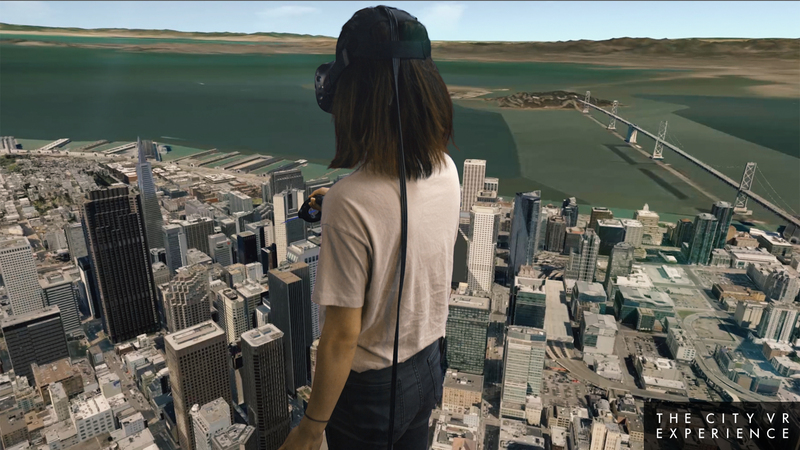 What is the story behind City VR? City VR is inspired by Skywand, Amber Garage’s first artwork. Skywand allows anyone, including cinematographers and those with zero drone experience, to create precise aerial filming plans in an intuitive 3D virtual interface and have actual drone executed subsequently. Skywand eliminates technical barriers to achieve professional drone cinematography by automating the flight process and arm visionary filmmakers with a power and intelligent partner. 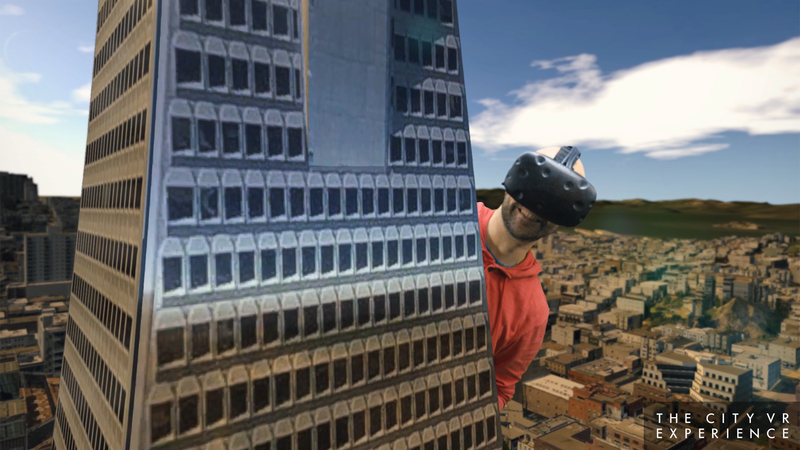 The 3D models in City VR comes from a combination of Amber Garage's own aerial photogrammetry technology (data collected using Skywand mentioned above) and the third party model provider PLW. 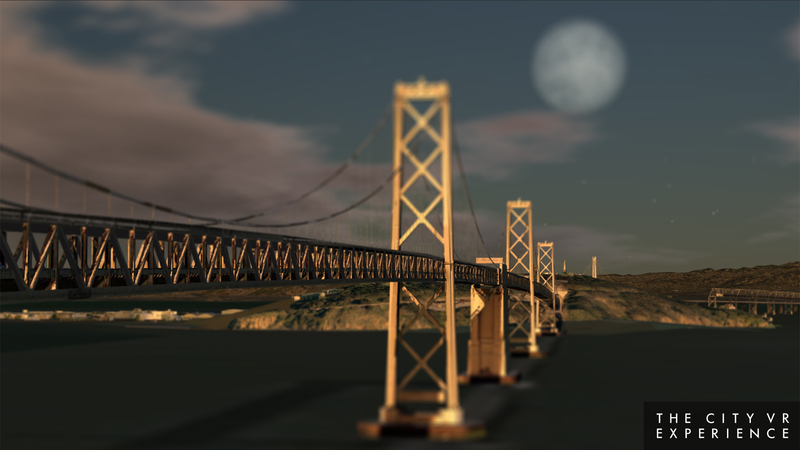 Freely explore massive area of San Francisco. 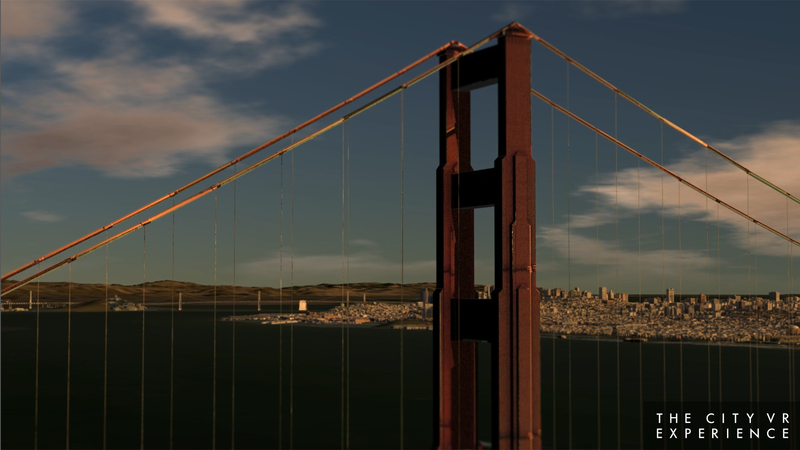 Teleport yourself from AT&T park to Golden Gate Bridge. 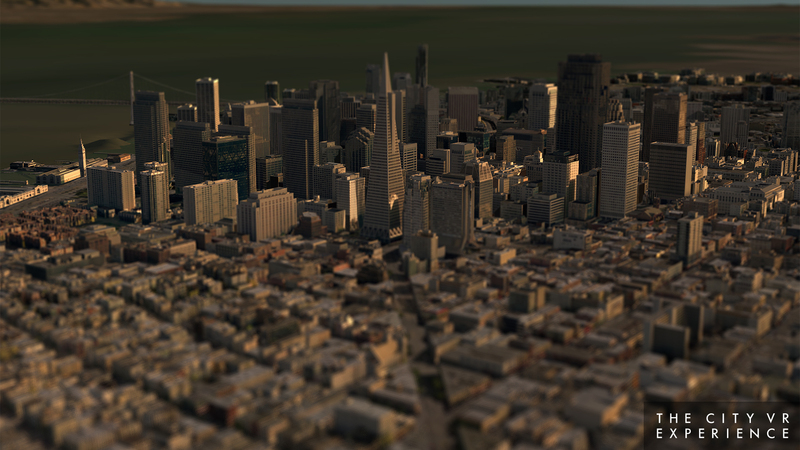 Get down your hands and knees on Market St. See the city skylines from Twin Peak. Walk alongside Coit Tower like a giant. Touch Transamerica Pyramid. 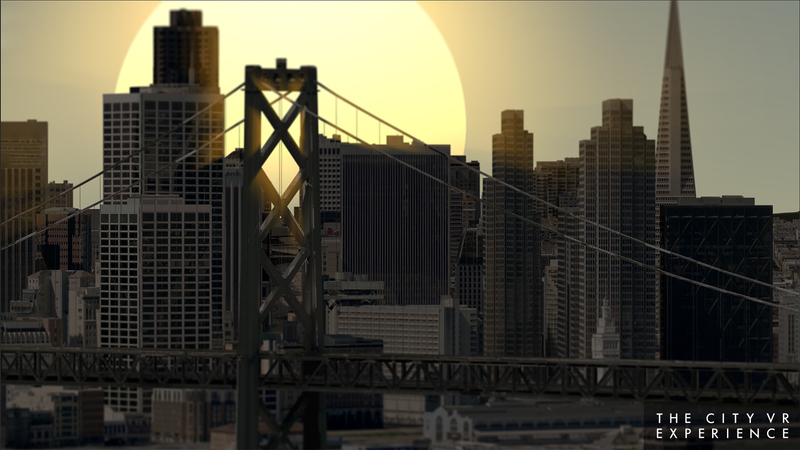 Watch sunrise over Bay Bridge and Ferry Building. 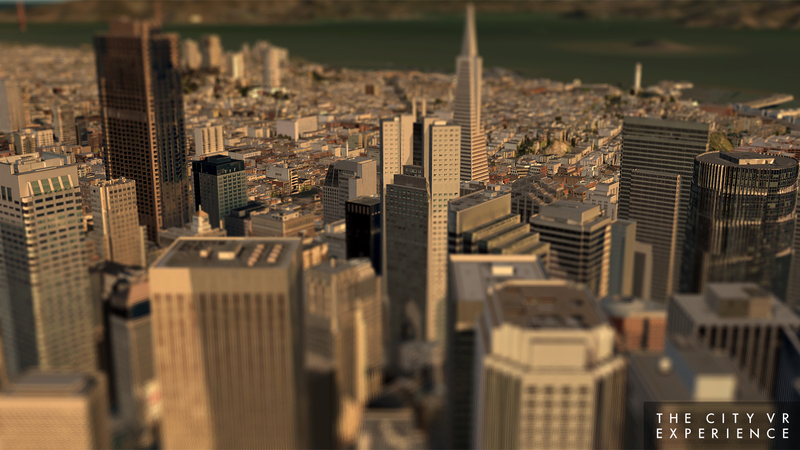 You'll experience San Francisco from perspectives you've never seen before. Stand at the top of the Empire State Building. 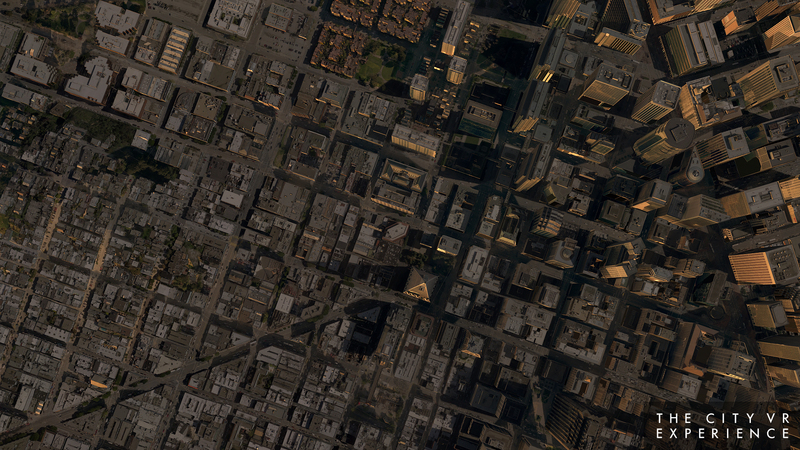 Look down on Times Square and take a walk at the Fifth Avenue. Observe the city skyline reflection on Cloud Gate in the Millennium Park. Take a 1,450-foot leap from Lake Michigan to the SkyDeck at Willis Tower. Press Kit: HD Screenshots, Video, GIFs, Clips, Footage, Press Release, and Q&A and more! Please follow instructions in Press Kit to use these materials.